EWP3 contains an innovative dual PIR technology, precisely senses motion and immediately alerts the user in case of the first signs of intrusion. The alert will be sent only when both PIR sensors are triggered. This feature eliminates false alarms from pets or lights. The installation of EWP3 is extremely easy. Remove the plastic tab from the battery and add the device to the security system with one click using Eldes Utility Tool. Mount EWP3 to the wall with 2 screws or just a duct tape. 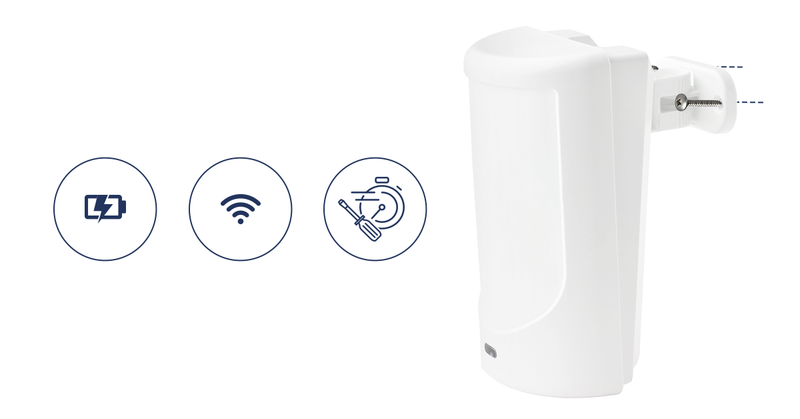 Innovative Eldes wireless technology enables users to reach an impressive, up to 3 km wireless range in open areas. Thick walls and multiple-store properties are no longer an obstacle. You won’t need to change the batteries every few months – EWP3 contains a smart battery-saving mode, which ensures the battery life-time up to 3 years! 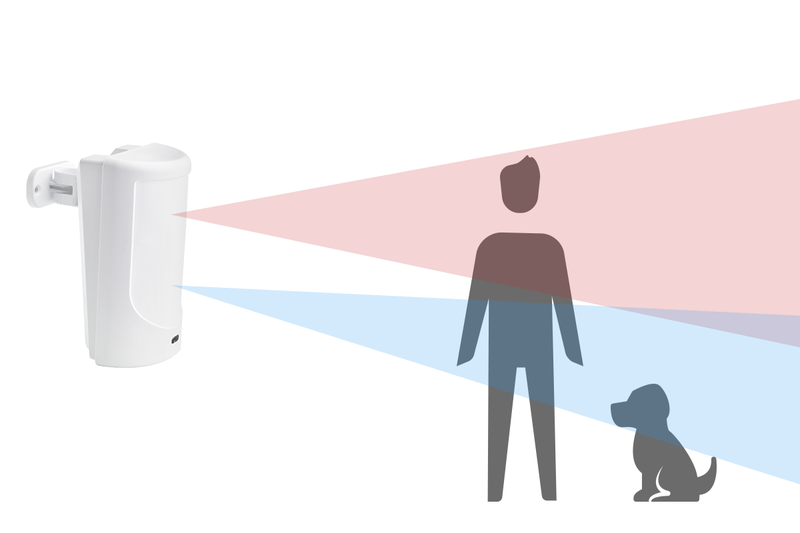 EWP3 detects first steps of intruders with the innovative dual PIR sensor technology. User and security company are immediately alerted about the potential danger when both PIR sensors are triggered. 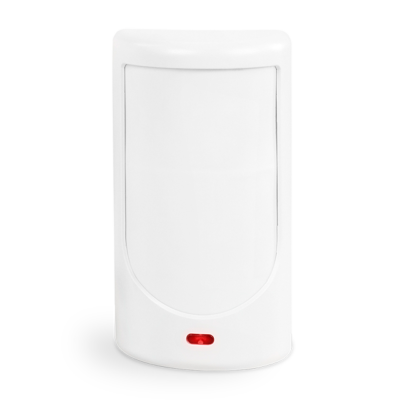 EWP3 is designed to reduce the amount of false alarms. If you have pets weighting up to 40 kg, this is a great feature – it won’t trigger the alarm while your pets are home alone. 1. Press and hold the RESET button. 2. Hold the RESET button and watch the LED indicator quickly flash (for approx. 5 seconds.). 4. Parameters restored to default.